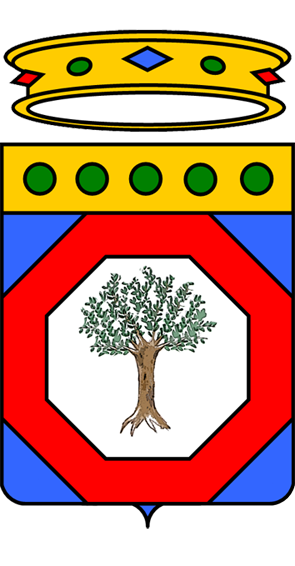 Polpettone pugliese. 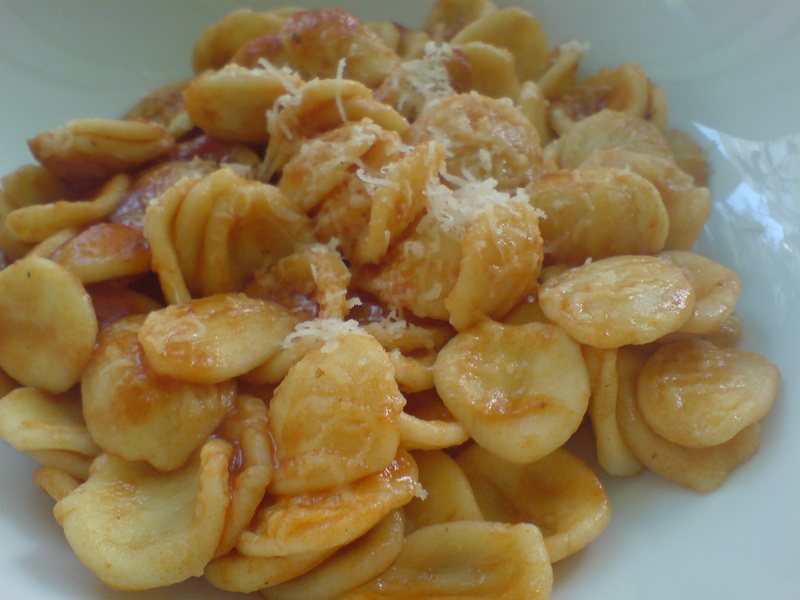 This is another recipe that I cook a lot. 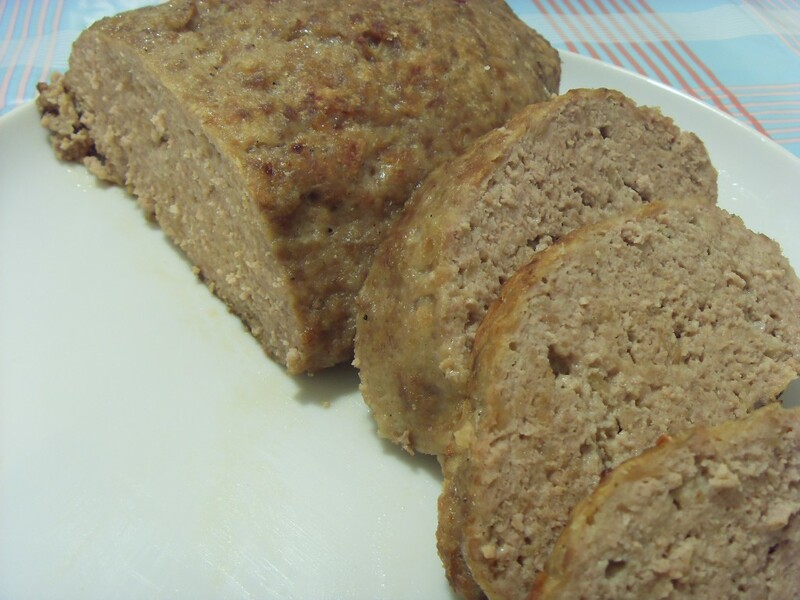 Other recipes cook the meatloaf in a tomato sauce, but this one roasts it dry. It uses minced veal, but if you can’t find it then minced beef will be fine. Italians don’t use the crated “white” variety anyway, so the veal is very pink. This is often served with roast potatoes. Serves 6. Break the bread rolls into small pieces and moisten with some milk. Mix together all the ingredients and season with salt and pepper. Form into a loaf and bake for 30 minutes at 200°C. 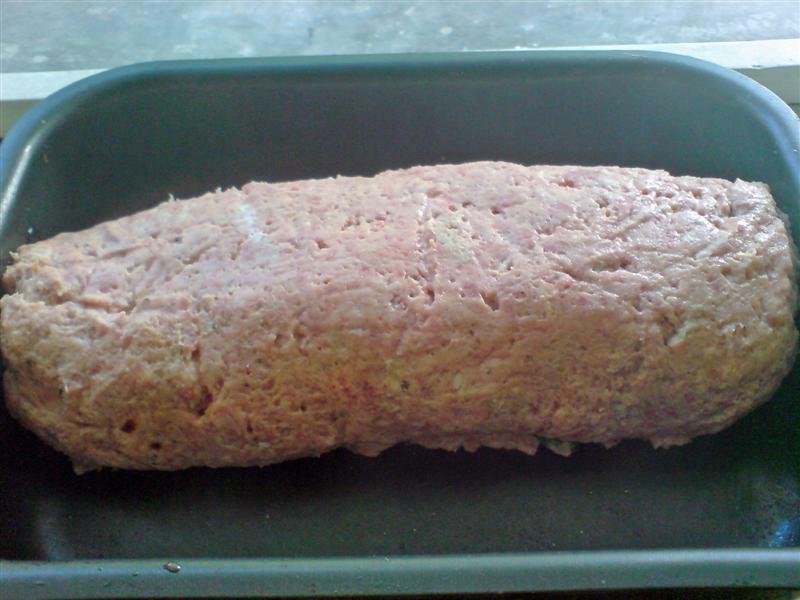 Remove from the oven and leave to rest for a few minutes before slicing. 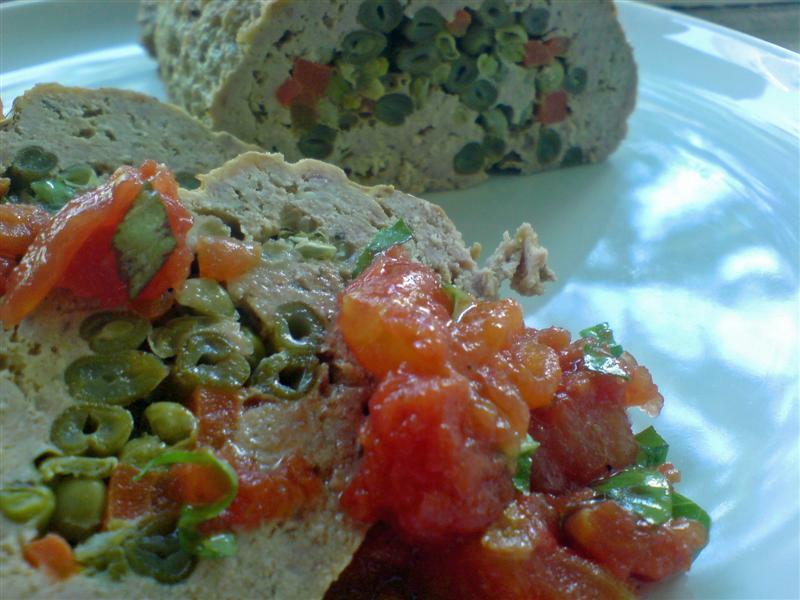 Polpettone freddo con verdure. This is a really nice summery dish and would be perfect for a picnic. 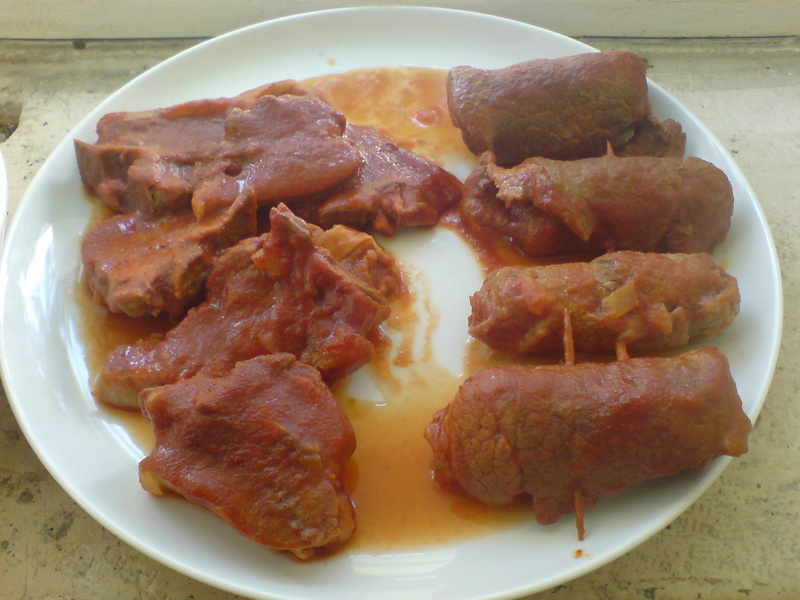 When I cooked it, I couldn’t find minced veal so I used 50/50 pork and beef with good results. Serves 4 hungry people as a main course. It could be used as an antipasto too. Wash and top and tail the beans. Peel the carrot and chop into batons. Parboil the veg in salted water for 3-4 minutes. Mix together the meat, the eggs, half the clove of garlic (finely chopped), the marjoram, the ricotta and the grana. Season with salt and pepper. Lay a piece of grease proof paper flat on the work surface. Spread the meat mixture out so that you get a rectangle about 2cm deep. Arrange the vegetables on top and, using the paper to help, roll up to form a meatloaf (like you would for a swiss roll). Press together firmly and make sure the ends are closed. Transfer to a baking tin, cover with foil and bake at 200°C for an hour. Remove the foil 15 minutes before the end of cooking to allow the loaf to brown. Remove from the oven and allow to cool completely. Make the salsa by deseeding and chopping the tomatoes with the basil and the other 1/2 clove of garlic. Stir in the oil and season with salt and pepper. 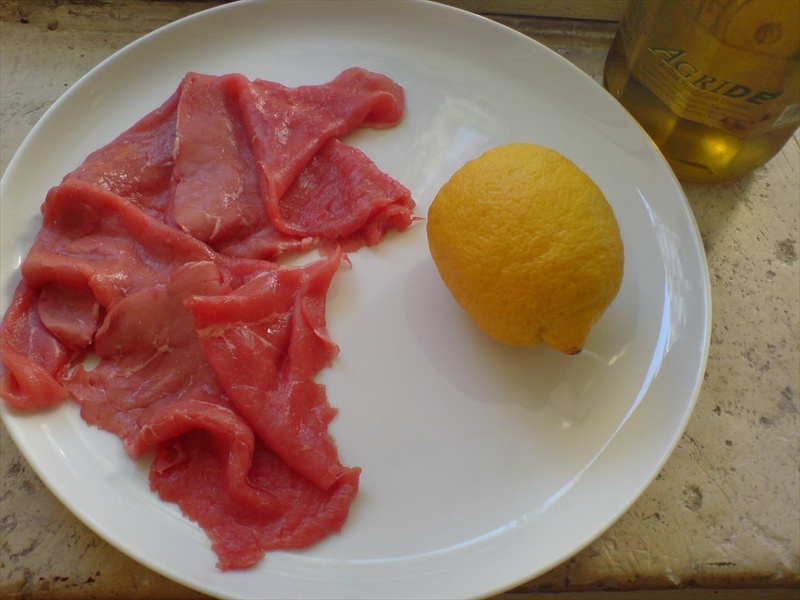 Carpaccio Di Carne. The original version of this dish comes from Venice. According to Arrigo Cipriani, the present-day owner, Carpaccio was invented at Harry’s Bar in Venice, where it was first served to the countess Amalia Nani Mocenigo in 1950 when she informed the bar’s owner that her doctor had recommended she eat only raw meat. It consisted of thin slices of raw beef dressed with a mustard and mayonnaise sauce. The dish was named Carpaccio by Giuseppe Cipriani, the bar’s former owner, in reference to the Venetian painter Vittore Carpaccio, because the colours of the dish reminded him of paintings by Carpaccio.This lighter version is far more common nowadays. Marinate the meat in the lemon juice for around an hour. 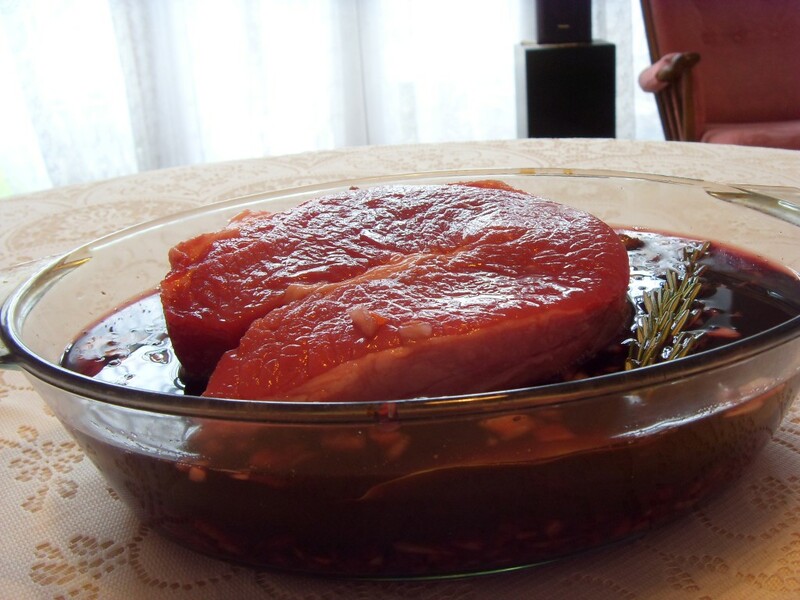 Remove from the marinade and arrange on a serving plate. 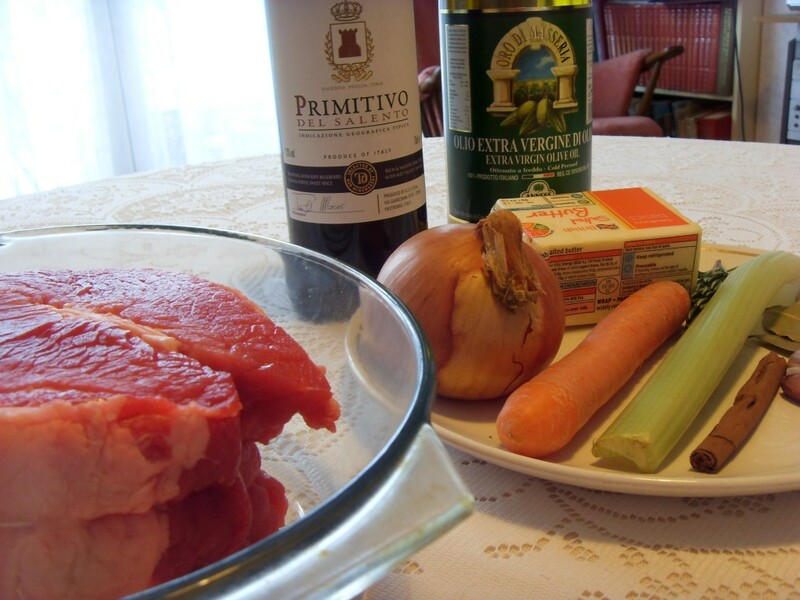 Season with salt and pepper and dress with olive oil. variation: Add some chopped aromatic herbs (parsley, basil, mint etc.) to the marinade. 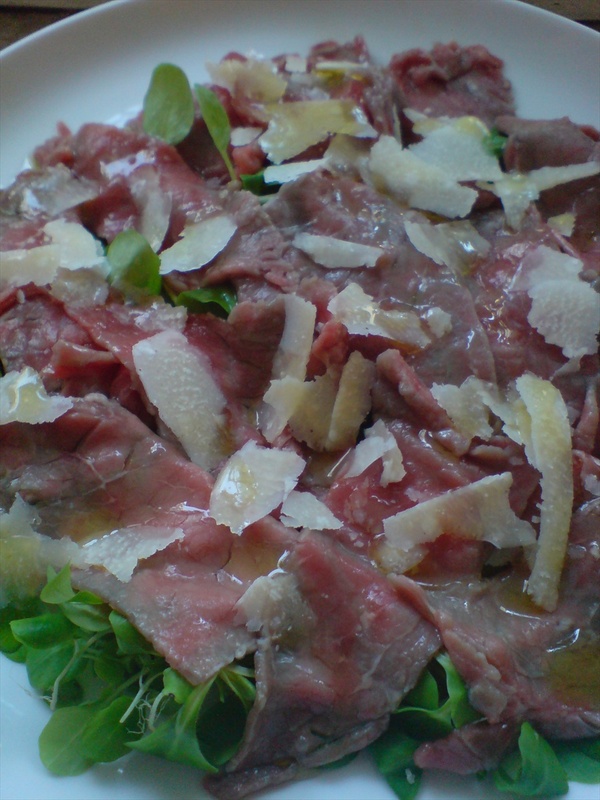 Variation: I like to serve the carpaccio on top of some green salad leaves. Fry the onion in some oil for a few minutes. 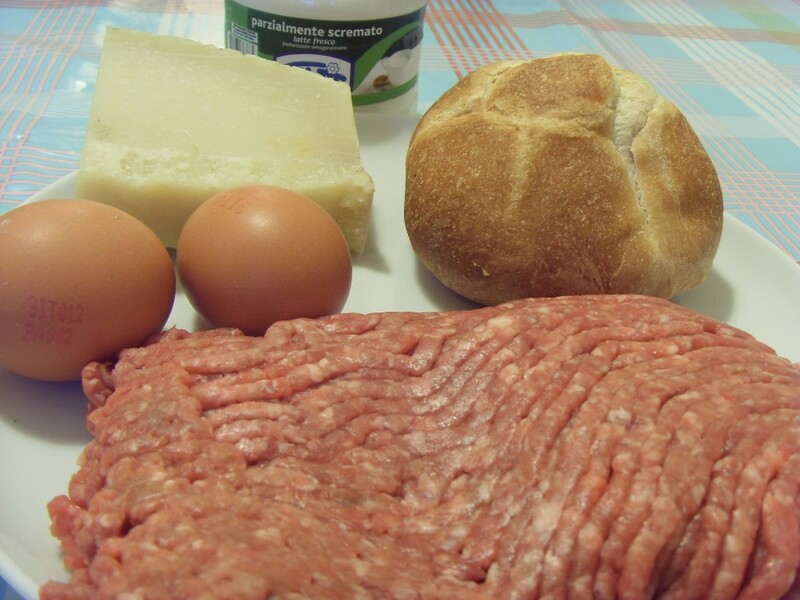 To make the polpette, mix together the veal, bread crumbs, onions, eggs and a little Grana. Season with salt and pepper.